Our friend and soundman Craig Hopwood recenly had quintuple bypass surgery and he could use our support. You can donate to the "Craig Hopwood Fund" through PayPal. Click here for more information. June 2010: The Pagan Travel Examiner wrote an article on Musician of the Month: Ariana Lightningstorm. Click on the link to read about Ariana and KIVA. 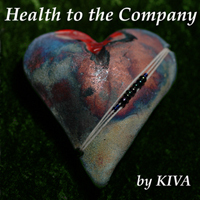 Saturday, August 8, 2009: KIVA's 20th Anniversary Reunion Concert at the Unitarian Church in Silver Spring, MD. We had a FANTASTIC show, better than even we expected. Thanks to eyeryone who came out and shared this special event with us. Click HERE to see the reviews. For this show, we put together a new CD of new songs and redone old favorites, called "KIVA So Far", and we still have them available for you to buy. January 2008: Four KIVA CD's are now available for digital downloading from CD Baby. Click the following links to see Out of the Corner of the Eye, A Call to Beauty, Mother Wisdom, and Live At The Forest Inn. September 2007: KIVA was invited to the The 11th Annual Healing Touch International Conference in Hiltion Head, SC in September 2007. We put together a new CD for the conference, called "Reflections". It is a collection of old and new music as a "meditation" CD, to use for relaxation, massage, or any kind of healing. It is just under 1 hour long, perfect for a healing session. This is a "limited release" CD in this current form. 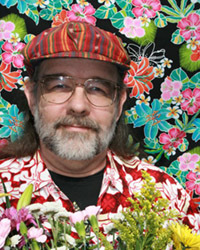 April 2007: It is with regret that we announce the passing of Amergyn (Tom Banks). KIVA was pleased and honored to put together Songs of Mysts and Moon with him in 1999, and we send him off with song and blessings. December 2006: Oshun Gaia, Ariana & Amikaeyla's new chant CD (featuring musicians from KIVA) is now available. The release party in December went great, and now the CD is available for purchase on our Web site. This new album features Indian chants, Native American chants, African chants, and some originals as well. It is very percussive and full of energy. October 2006: Four of KIVA's CD's (including the latest "Out of the Corner of the Eye") are now available for digital downloading from the iTunes Music Store. You can download individual songs or the whole 13-song CD. You can get access through Apple's free iTunes software, available at http://www.apple.com/itunes/overview/. August 2006: There is a live recording of KIVA performing the song "Out of the Corner of the Eye" at the Witchvox Bardic Circle Web site. Check it out. Also, CD Baby is now selling "Out of the Corner of the Eye" for us . We encourage you to use this site because it will help us make more connections with this organization. July 2006: A very favorable review of the newest KIVA CD "Out of the Corner of the Eye" is featured in the Summer 2006 issue of Faerie Magazine, which is currently on magazine stands at Barnes & Noble and Borders Books. Click HERE to read the review. May 2006: KIVA has completed our newest CD, "Out of the Corner of the Eye". It is now available for ordering online. And check out the new MP3 sound clips. December 2005: KIVA is featured in the Winter 2005 issue of Faerie Magazine, which is currently on magazine stands at Barnes & Noble and Borders Books. It's a great article and you should check it out. September 2005: We have a new member in KIVA, Tigre Cruz. He will be adding his drumming to KIVA, as Eve Jones has moved to New York City, and will be playing with KIVA as time and distance permits.